Last week I had the pleasure of taking my 2 and 4 year old to see the Ben & Holly Live Show at the Sydney Opera House. The show is currently touring around Australia, after touring the UK last year. We have had tickets to this for months and with two huge Ben & Holly fans in our house, the excitement has been building for quite a while now. The show is playing at lots of venues around Australia (see the full list here), however I have to confess to being a little bit excited about going to my first show at the Opera House – even if it was a kids show. We rode the ferry into Circular Quay (a ferry trip is a must do if you visit Sydney) and made our way over to the Opera House. The show was in one the smaller rooms there, and was just the right size for a young audience. Before we went in we bought the obligatory merchandise (well actually, their grandparents bought them – I personally thought the merchandise was a little too expensive, but I guess that’s what grandparents are for! ), which was a rather fun flashing Holly light, we went and took our seats. 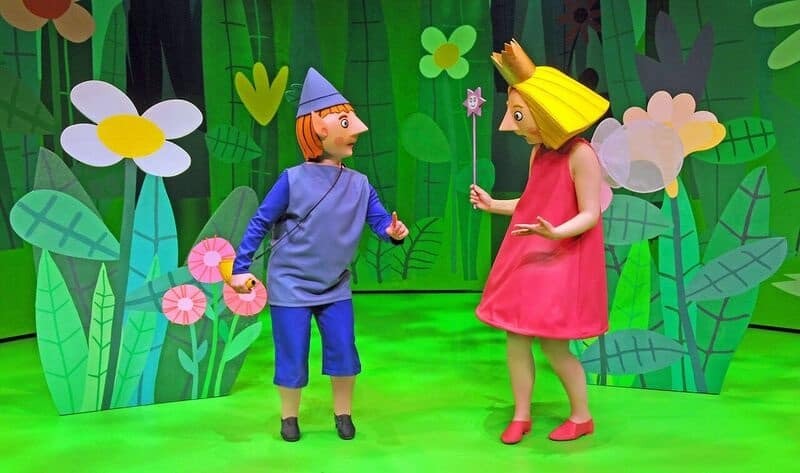 The show started with the familiar Ben & Holly theme song music and the words, “Somewhere, hidden among thorny brambles is a little kingdom of elves and fairies.” If you’re like me and have heard this more times you care to admit, you’ll understand why the kids all squealed in delight. Then Ben & Holly stepped on stage. The story is based around snippets of familiar Ben & Holly episodes and was really well done. The life size characters were easy to see, and looked very authentic. The stories were quick enough to keep the attention of a very young audience (the average age seemed to be between 2 and 5) and there was a lot of age appropriate audience interaction opportunities. The show was split into two sessions with a 10 minute intermission (great for those needing toilet and drink breaks) and was just the right length of time. I’ve been to similar shows which have gone on for too long for the age group they were catering for. 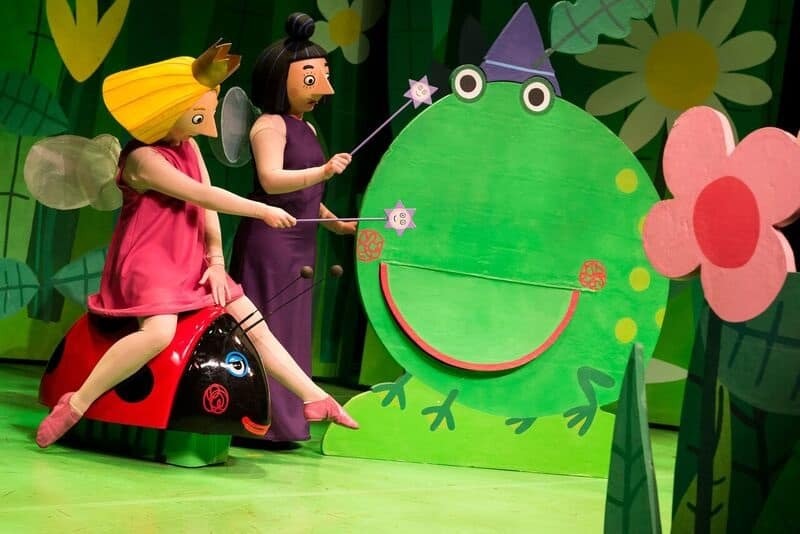 If you are considering buying tickets to the Ben & Holly Live show I definitely recommend it. My girls are still talking about how they saw the “real” Ben & Holly and it certainly lived up to their expectations. You can find more details about the shows here. 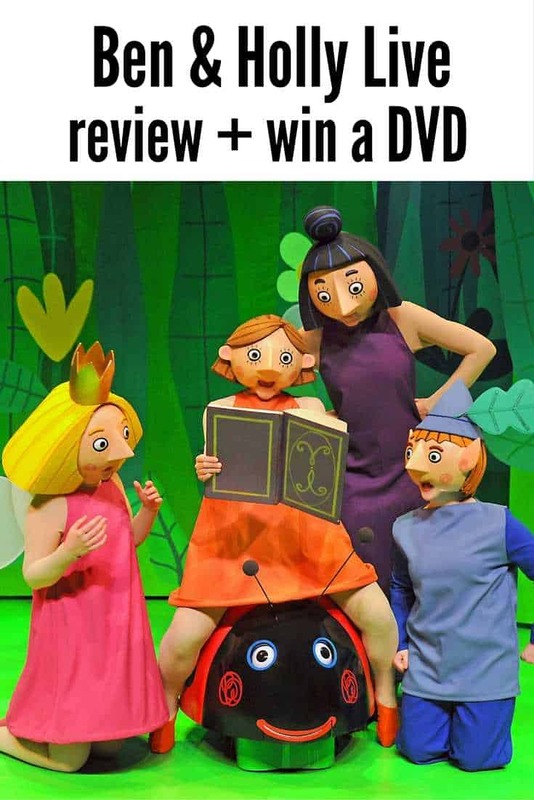 *I was not paid for this review, however I was given tickets to see the show. All opinions are my own. 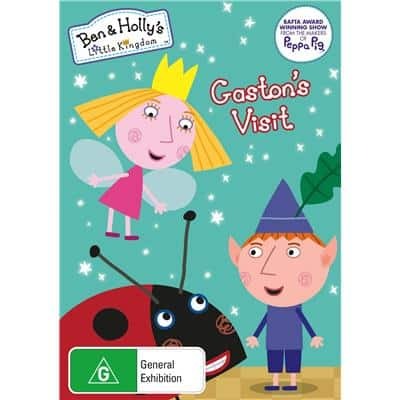 To keep the spirit of Ben & Holly going, I have a copy of a Ben & Holly DVD – Gaston’s Visit to give away to an Australian reader. To enter tell me in 25 words or less why your child loves Ben & Holly and enter below. Ends 20/4/16 – Australian residents only. My kids love Ben and Holly! Little Miss Zoey is just over the moon whenever she sees these two! Does she like them? OH YES SHE SURE DOES! which means I am FREE. Because they are obsessed with Nanny Plum! She’s their favourite character because “she’s so silly!”. My daughters are nuts for Ben and Holly, and are always making “smelly stews” in the backyard for Gaston the Ladybird. My little ones sit all the way through. 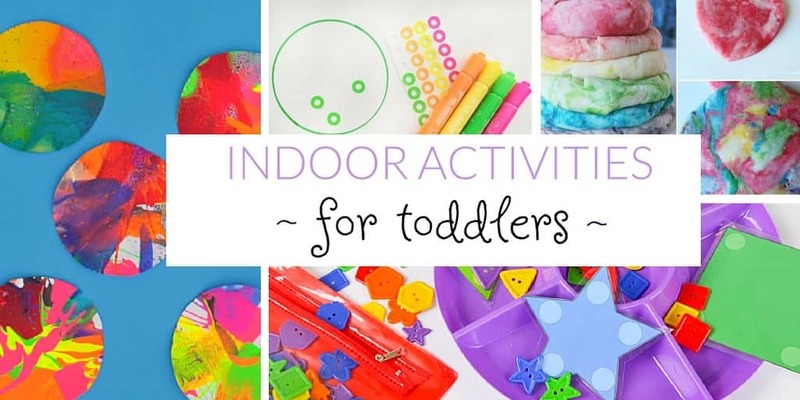 I just get pleasure watching their little faces light up and seeing them interact with the characters, it captures their imaginations and transport them to the Little Kingdom. How can I delete this to comply with the 25 words or less?? ??? Ben & Holly bring joy to the world, not just to little ones. 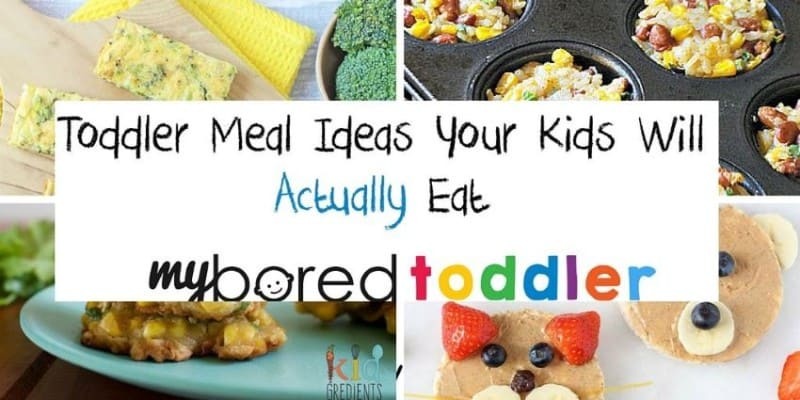 I get just as much enjoyment as they do! My little girl is obssesed with Ben and Holly. The DVD she currently has is scratched to bits because she watches it so much. Ben & Holly is a great show that keeps all my family entertained. We would love to watch the episodes over and over. Evening routine involves watchin Ben and Holly, without them the night doesn’t feel complete. They have become a part of the family! My kids love all things magical . Ben and Holly never fail at making them smile. Great when there is no sun! Without them I’d be lost.